16. Derek Banas, Owner of NewThinkTank – How to Shape Human Behavior. Owner of NewThinkTank.com, Derek Banas has +28 years experience in marketing, sales script writing, and web design. How does your job fit into the marketing process? As an business owner, I’m responsible for my own advertising. As a non-traditional web-designer/business owner, I meet with other business owners to determine their business needs, objectives, and target goals for revenue, and I then offer to make them a profitable online business website complete with shopping cart and relevant functionalities in exchange for a percentage of profits – A business model that is not traditional at all. A lot of people, ‘gurus’ especially, find ideas and keep it to themselves or charge a lot of money for them. I share them for free. I’m not motivated by money. Find people who will pay you continuously. In terms of posting articles and videos online: Do something 1 time, get paid forever. I did the former for +28 years, working for other people. Now I prefer the latter. I once made a client over $24,000 in profit in 2 months using Google Merchant for a total cost to of only $2,600 for the client. Your a web designer, but you use another person’s template… In the beginning I designed my own theme, but I couldn’t keep from editing it. So I used a professional template to avoid the urge of spending more time modifying the template than content creation. Nearly every post you do contains a youtube video, as if your youtube account is your main website and newthinktank.com is just a secondary support… Yep, pretty much! In the beginning I was creating 1 video a day. Now I post about twice a week. You monetize NewThinkTank.com using Paypal donation, Google Ads, and a Youtube partnership. In what order have you found them to be the most lucrative? #1 and #2 fluxuate between my Youtube channel and Paypal donations. #3 is revenue from Google Ads. What’s a campaign you’ve worked on: I was involved with an extremely successful ambush marketing campaign for the March of Dimes. Back when TY beanie babies were popular, the March of Dimes produced and sold their very own beanie bag baby. It was one of their most successful campaigns ever. The beanie babies cost about $0.15 to make and sold for $7.00 each. What’s a misconception clients commonly have about the industry? They believe what all the gurus are saying and they have no idea how quickly marketing strategies change. Online marketing changes on a month-to-month basis. For example, referring back to my example above, I successfully used Google Merchant at beginning of the year and it worked perfectly, however merchant may not be good alternative depending on your business. Search engine results can fluxuate significantly depending on Google‘s messing around with their algorithm and other things. I’ve been testing Twitter and the other social networks; constantly searching for new marketing ways. I’ve found that Twitter is useful, however to be effective you should have 10k followers minimum to drive worthy traffic to your site. What’s a second misconception people commonly have? People don’t realize just how manipulative marketing is. If marketing strategies change so quickly, how do you keep up with them? I spend a lot of time searching online. I’m constantly browsing YouTube and Google search to stay up-to-date with current trends and ideas. Watching your costs is more important than anything else. What worked before probably won’t work again, at least to the same effect. Hypnosis techniques dramatically improve results. If you want to drive traffic to your website, understand that Google has been blocking traditional search and their algorithm changes and evolves often. Making really long names for photos to circumvent SEO tricks don’t always work. I used to base my Youtube video titles off of highly-searched adwords, but now I use the best title for the video. Advice for someone who wants to do your job? This depends on the person and your demographic. When you start your own online business, your customers become your boss. But as a website owner, you’re no longer tied to the fluxuating US economy. Only about 40% of NewThinkTank‘s traffic comes from the US. You just have to know what to accomplish and how to accomplish it. I have a small advertising budget, any advice? Again it depends on the business. There is no one way to market that works for every business. Definitely SEO your website as much as possible. 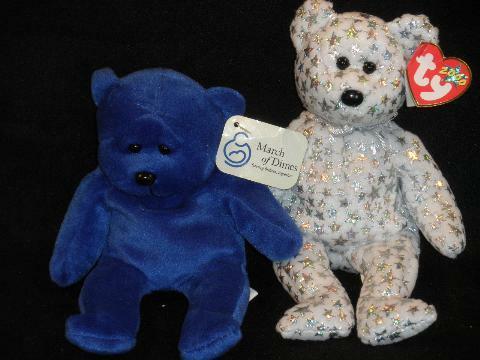 As we did with the March of Dimes Beanie Babies mentioned above, find whats hot, and go with it. Constantly evaluate and adapt marketing strategies based on the ever-evolving online opportunities available. By opportunities I mean exploiting the often times free advertising options online. You link to your facebook, youtube, twitter, and linkedin accounts. Which platform have you found redirects more traffic to your site? For the moment twitter. But as mentioned above, I’ve found that you need +10k to make a noticable difference. Posted on July 18, 2012 by Joshua SMITHPosted in interviewTagged advertising, copywriters, interviews, men, owners, united states, web design, Web Specialists.